You can detect the lip-sync for a sound in the Exposure Sheet view or Sound Element Editor. 1. In the Exposure Sheet view, right-click on a cell of the sound column and select Show Lip-sync. Studio analyzes the selected sound clips and assigns a lip-sync letter to each sound cell. 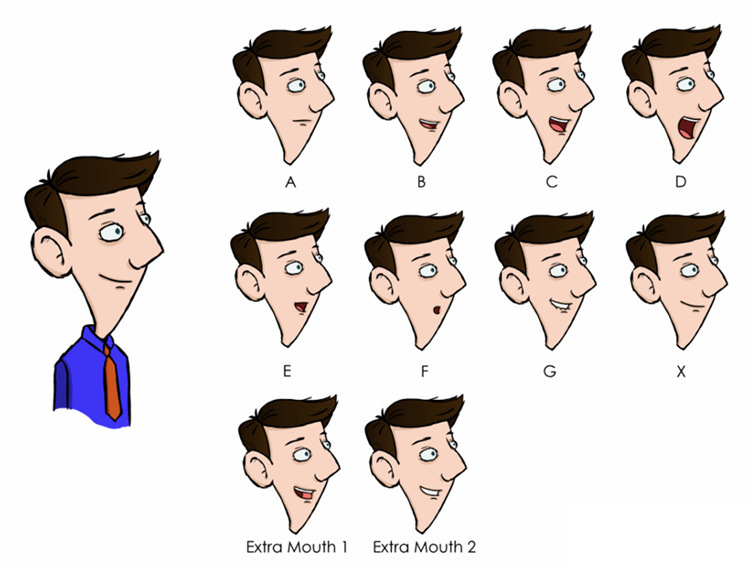 The number in each frame is replaced by a letter that represents the mouth shape. You can enable the Thumbnails display option to show a preview image of the mouth shape. Once you enable the Show Lip-sync option, click the Thumbnail button in the Exposure Sheet View toolbar. 1. In the Timeline or Exposure Sheet view, select the Sound element from which you want to generate a chart of mouth shapes. 3. In the Sound Element panel, select the waveform from which you want to generate the mouth chart and click Lip-sync. A progress bar appears as Studio analyzes the selected sound clips and assigns a lip-sync letter to each sound cell. 4. Click the Play button to hear the sound clip. The Lip-sync Preview area shows a preview of the result. 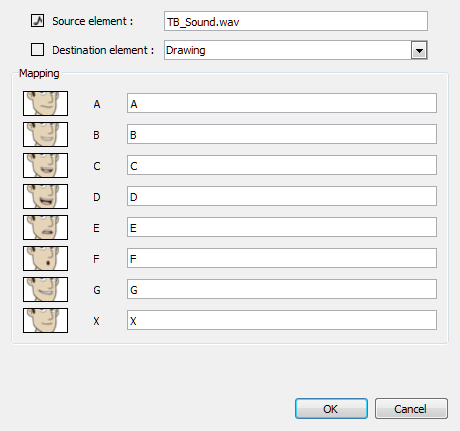 Studio can automatically map drawings in an element to the mouth chart you have generated for a sound using the Lip-sync button in the Sound Element Editor dialog box. This can save time when lip-syncing a voice track. 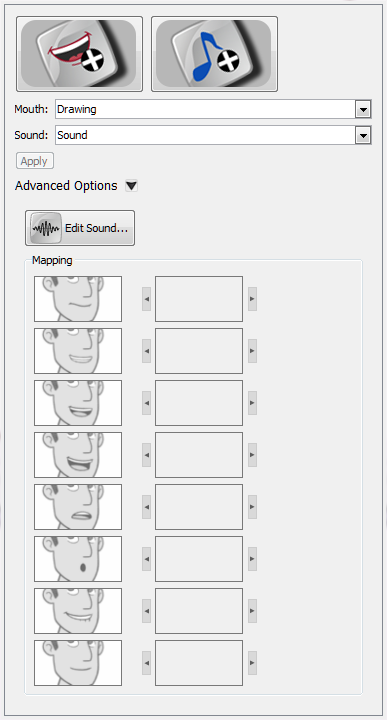 This means that in the Lip-Sync Mapping dialog box, you can identify each lip drawing of a character mouth element. Studio then automatically labels all of the cells in the character's element with the appropriate name. 1. In the Exposure Sheet view, right-clickon the header of the sound element was already lip-synced and select Modify Lip-sync Mapping. ‣ Source element: The Sound element from which the lip-sync mapping will be based. ‣ Destination element: Lets you select the element that contains the mouth shapes of your character. 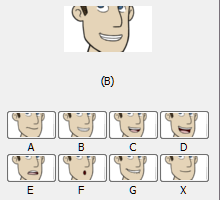 ‣ Mapping: In this section, type the destination drawing name in each field corresponding to the mouth phoneme that the thumbnail on the left represents. If your drawings are already named using the standard phoneme letters, you do not need to change anything. 3. Click the Play button in the Playback toolbar to see and hear the results in the Camera view. 4. To play back your scene with sound, enable the sound if you not already done so. From the top menu,select Play > Turn On Sound Playback. If you think that another position would be more appropriate, you can change the mouth position that has been assigned to a frame. For example, you may have a character who remains silent for ten frames between two speeches. Studio would normally assign an X image to the silence. 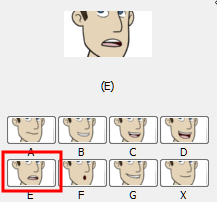 However, if you want your character's mouth to hang open in astonishment for these ten frames, you can change the lip assignment for these frames from an X to an E.
You can modify the lip-sync from the Exposure Sheet view or Sound Element Editor. 1. In the Exposure Sheet view, right-click in the cell that contains the mouth position you want to change. 2. Select Lip-sync > A, B, C, D, E, F, G or X. Choose the letter that reflects the mouth position you want to use for that sound. The drawing automatically updates in the Exposure Sheet and Timeline view. 1. In the Timeline or Exposure Sheet view, select the Sound element with the lip-sync you want to modify. 3. In the Sound Element panel, drag the red frame slider to the frame with the mouth position you want to change. In the Lip-sync image area, the image on top represents the lip position currently assigned to the frame. 5. To change the image assigned to the frame, select a mouth position below the preview image. The preview image changes to the mouth position image you selected. The position is also updated in the Exposure Sheet and Timeline views. Recomputing the mouth chart erases any manual modifications you made to the mouth assignments in the mouth chart. When you generate the mouth chart for a sound in a sound element, you can either accept the mouth positions assigned by Studio or assign your own lip-sync images. However, if you change the sound's start frame, edit it or reassign its mouth position afterwards, you must reanalyze the sound, and regenerate the mouth chart for it. Remember that recomputing erases modifications (see warning above). 1. 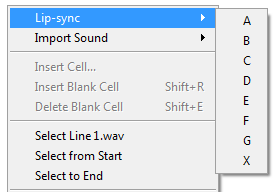 In a Sound column in the Exposure Sheet, right-click on a cell that contains the sound file you want to recompute and select Recompute Lip-sync. 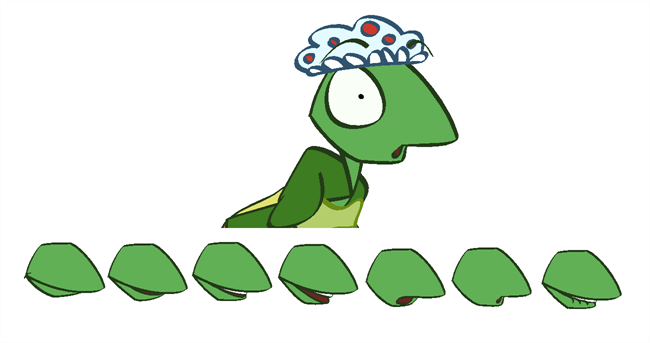 The mouth position assignment for each frame is recomputed, erasing any modifications you made. 1. In the Timeline or Exposure Sheet view, select the Sound element. 3. In the Sound Element panel, select a waveform to recompute and click Lip-sync.